Taking your visitors to a more interactive ride and open door discussion can help any web site or blog improve your user experience and make visitors return because they can feel comfortable about doing business with you, which mean you can sell more. Since the birth of e-commerce having a few elements on your site like a web based feedback form has help millions of websites deliver better customer service to their visitors, whom can turn into prospects, then into customers, and then into loyal fans. 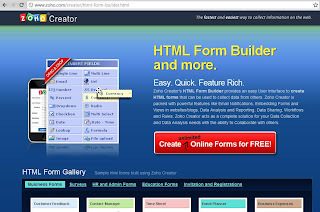 But this type of site development tools needed someone with some HTML, Java, or PHP knowledge to make it happen.... Well, no more now the Internet offers many service that doesn't require a developer to have the element or code implemented on their sites, below I collected a huge list of awesome very easy to use free web forms builders that any marketers and blogger will love. 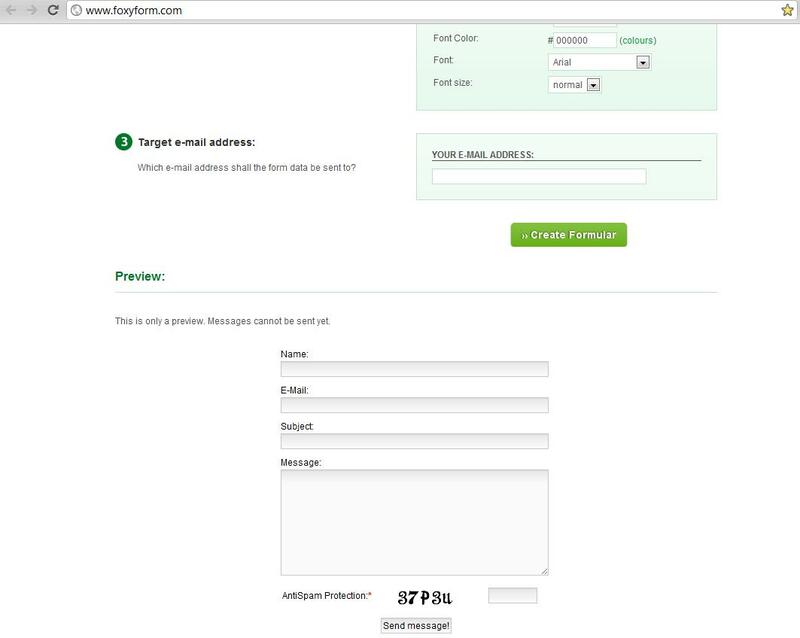 Foxyform service has absolutely no cost involved, is extremely easy to follow and you can have a form finish in minutes, even seconds. The process is very straight forward, you only need to decide if you want to ask for a Title, Name, Email Address, Subject, and you get a comment area for more information. 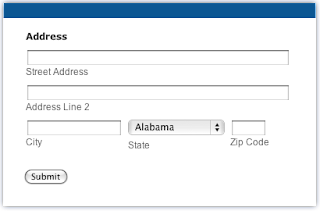 One more thing their service also have 'Spam' protection embedded on the code. 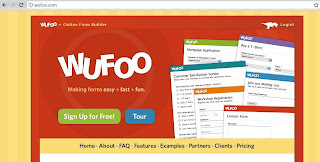 If you are looking for a more advanced option without a price tag, then Wufoo might be for you. 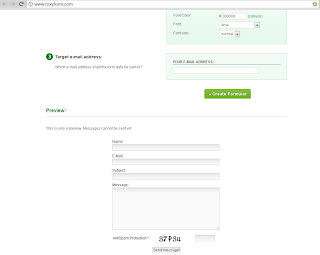 Now their best features (like collecting payments) are only part of the paid plans, but even then you can get up to three different type of forms, and up to 100 inquiries per month. 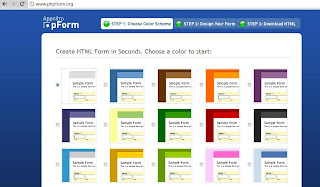 You can choose from a regular feedback form, a survey, etc..
FormAssembly is a very robust design service that can help you build very interactive forms, the free plan is ad supported, but works excellent and is very simple to use... You can add questions and elements, edit the the theme to match it with your site. 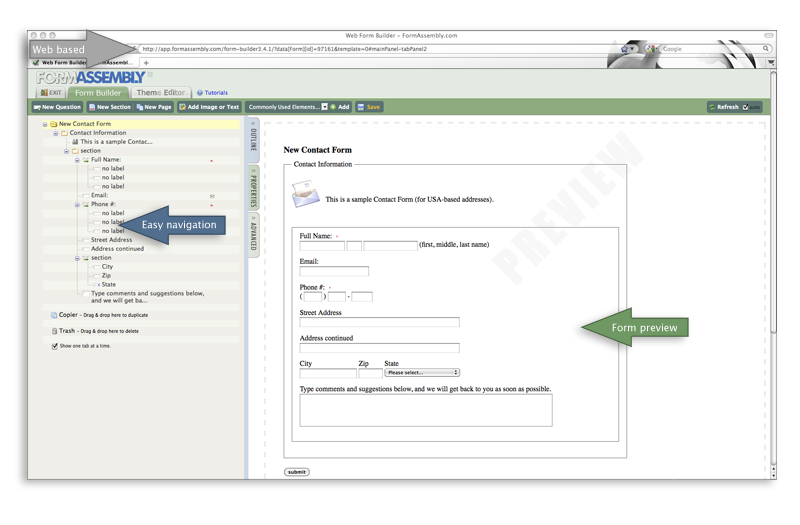 Also they offer options like Paypal and Google spreadsheet integration in their paid plans. 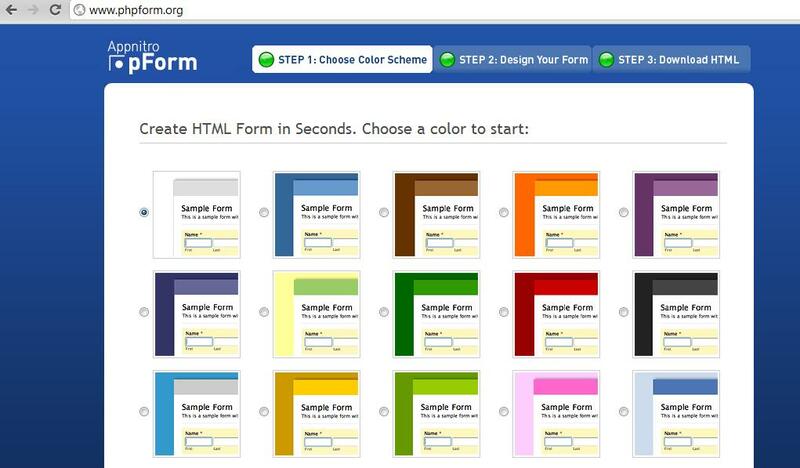 Now Zoho take the HTML generator approach up a notch by providing very easy to use interface (zero html knowledge needed) and let build unlimited amount of forms which can also be embedded on your site and share with others. Another great feature about Zoho is the fact that your forms can be view on any web browser and even mobile phones! 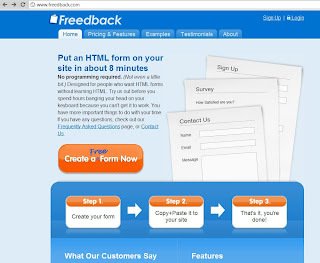 You gonna love this one because they a great platform that can be use by anyone to generate the HTML code for a good looking feedback element. They have over 100 templates you can choose from, spam protection code, and database management features. 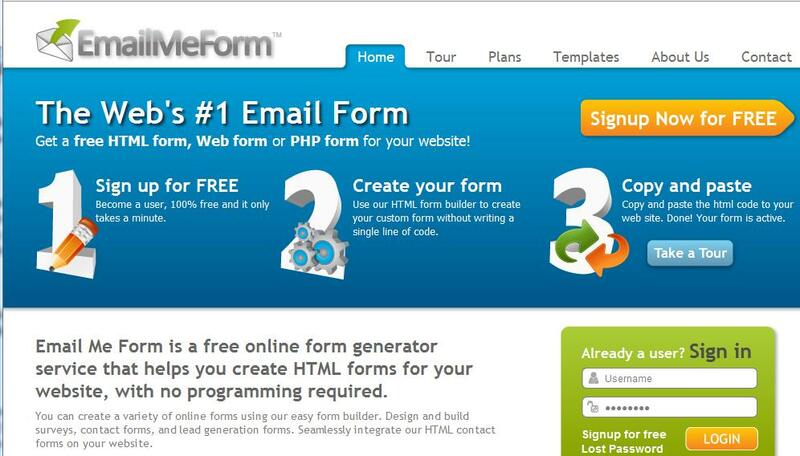 Another service full of templates and features is EmailMeForm, they let you create HTML, Web, and PhP forms with ease. 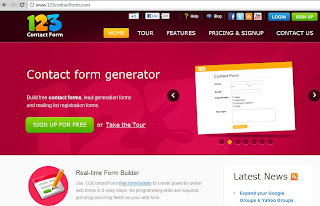 Their system works excellent and can added to any site or blog. Also check their paid plans for more advanced options. 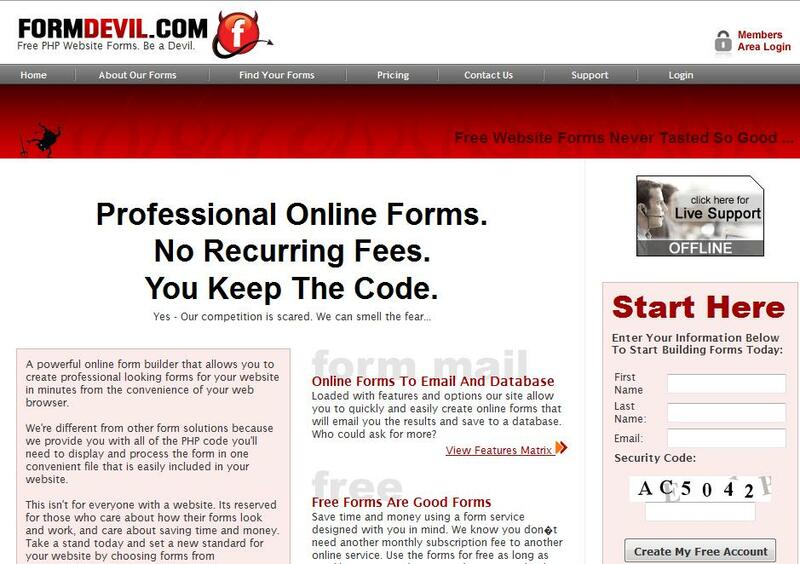 This is another awesome service, but what makes this one a little different is that they let you send new subscribers or contacts to another website after submission, which can work excellent to try a OTO (One Time Offer) or more. Also you get stats of where your visitors came from, which is always a great option to have. 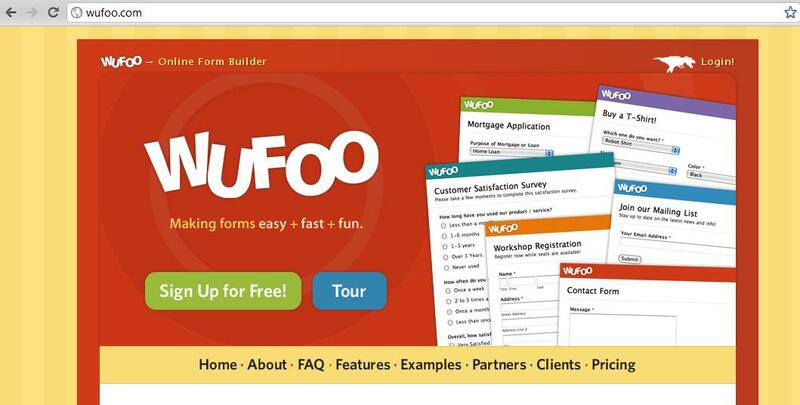 Just like Wufoo, 123ContactForm let you have up to 100 submissions per month. 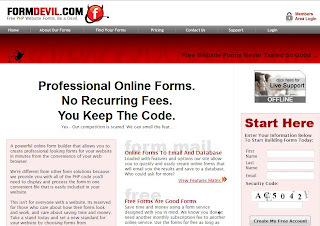 The service is very professional and easy to implement. For more options check their paid service. What I love about PhPForm is how easy is to use, right from start the site takes you to a quick ride to build and generate the HTML or PhP code for your contact page. It reminds me of FoxyForm (mention at the beginning of this list). Also, if you are looking for PhP creators check this list of 16 free but useful PhP form processor scripts on my friend Ruhani's site. I hope you found this resource list very useful, if you think I missed a service that deserve to be listed here please post it on the comment box below, if is something worth sharing I will add it to the list. 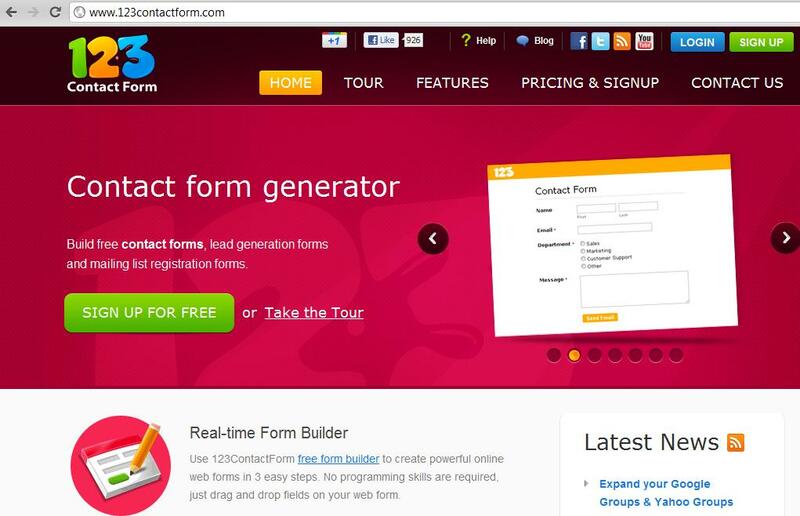 Remember that web based forms can be very powerful free Internet marketing tools... Also, you can join the conversation on Google+, Facebook and Twitter.